In this three part video series, Fab Dupont takes a live recording of Jay Stolar’s ‘Fall Apart’ and turns it into a finished mix. Presonus Studio One was used for the entire recording and mixing process. This video is great for any songwriter or producer working with live bands. You will learn ways to make real instruments sound punchy and present in a modern way. Using Studio One’s built in plug-ins (ProEQ, Channel Strip, Expander, Compressor) as well as lots more from UAD (Pultec, Studer A800, 1176LN, Fairchild, DBX160, Roland R-201, Cooper Time Cube, Moog Filter, EMT250, Lexicon 224, EMT140, RS1, Precision Bus Compressor), Softube (Focusing Eq, Fet Compressor, TSAR-1 Reverb, Bass Amp Room) and Soundtoys (Echoboy) Fab takes the song from raw tracks to finished product in a little less than two hours. He mixes drums, bass, guitar, keyboards, vocals, comparing microphones when several are available (Original mic placements are shown) making choices based on the song context and the final desired results. Many mixing techniques are addressed including parallel compression and space design with multiple reverbs. You will also learn about transients management and tune a vocal track with taste. Half way through the process, the mixing session turns into a recording session again when Fab realizes a hole in the arrangement. The whole process is documented live and integrated the series where he finishes the song and lets us compare before and after sounds. The attached zip file contains the original uncompressed files of the session. Please download it and import these files in the DAW you use to make music. This way you can practice your skills and mix this song using your own tastes, tools, plug-ins and the guidelines provided in this video. Good morning children! Today, we're going to mix a live song. Now, that does not mean that Ableton was involved, or that it was a concert. No, no, no! It means that a bunch of human beings, also known sometimes as musicians, were in a room together, playing instruments, which were recorded into a piece of software. and it goes a little bit like this. Here's the first song system. For the sake of full disclosure, let me show you what was done live, and what was overdubbed. If you look at the top here, that's the drums live, bass live, the pocket guitar was live, the Rhodes live, the vocal, I overdubbed right after, to be able to get rid of the guitar sound. It's one take. And then, after that, we did two guitar overdubs, left, and right, they're coming only on the chorus, apparently. And then, a bunch of vocals. The background vocals on the chorus and then a really lovely lead by Catherine. So that's it! So, the top part is all the live stuff the bottom part is the candy that was overdubbed after, to make sure it sounds bigger. So, I feel that I want to start with the guitar, because the whole point is interaction between the vocal and the guitar pocket. So let's listen to that pocket guitar and see how it feels. Ok, that's an interesting part. I have a Lauten Atlantis that sounds like this. I have a Royer SF-1, that sounds like this. And I have a DI. It sounds like this. So we have some nice distance in the Atlantis, some nice fat and proximity in the SF-1, and then some nice "clink, clink, clink, clink" on the DI. "Clink, clink, clink, clink" being a technical term, of course. So I think that we should listen to the whole thing. It's a little too fat. I hear some resonances at the bottom. Let's compare with and without DI. This is with the DI. Removing the DI gets rid of that "mmm" thing. But I also lose a little bit of that elasticity of the attack, so I don't know which one is my favorite. For now, I'm just gonna get rid of the DI and see how it feels with two microphones. I think that's good enough. get rid of the little bit of that resonance. to even out the levels between the verse and the chorus. Drag an EQ onto the Sub. 200 is the devil, to bring a little bit of that "mmm" that's still there down. And then probably a high-pass because otherwise, we don't feel good about ourselves. Much better! It feels almost compressed. Check it out! Without. the frequency of my filter, and do a little less correction here. You hear it in that main note, right? "Tung, tung, tung, tung..." Now it's tamed. And let's see how it interacts with the vocal. Note: when I turned the vocal on, the guitar was overpowering the vocal. I had two options. I could have brought the vocal up, which is the first instinct, or, I could have brought the guitar down, which gives me headroom for later in life. So I chose option B. Bring it down further, and listen. also pretty much flat. So it sounds great, I like the way it sounds. I feel it's a little too dynamic and that's bothering me, and preventing me from really understanding what's going on EQ-wise. So I thought that a good idea would be to start with compressing. Why not? So I'm gonna drag an LA-2A on the vocal. Add some Peak Reduction, Compression mode, here we go! As a reminder, the second phrase without the compressor sounds like this. Hear the word "Body", and how it hits you in between the eyes? Here's without again. And I like the tone of it too. It's pretty cool. and make it a tiny bit fatter. So I'm gonna use the Pultec. So the top, I'm gonna go all the way up to 16.
just to make it... a little more "hhaaa" thing. I think I need a little bit of "oumpf" at the bottom, so I'm gonna add some 100Hz here, and a little bit of 200 too. This is without the EQ. As a reminder, since I have a compressor here, I'm gonna adjust the output so that I can listen to a completely flat signal by hitting this button. This button here bypasses all plug-ins on the channel, which is very practical. I'm gonna do it in solo. This is all flat. And this is with our two plug-ins. it's a little too thick, I'm gonna adjust my correction here. A little bit more of this, a little bit more of that. It's steadier, it's thicker, it's what I need. With the guitar! Find the beginning. Actually, you know what? I'm tired of trying to find the beginning, so I'm gonna lay some markers here, so I can navigate easily. Then it's gonna go and automatically make markers for every section, which is kind of cool, and then you can move them to wherever you want. More or less, I'll adjust this as I go, this is a good time saver. There's no Solo, we know better... Boom! There's a Bridge though. And then, we definitely vamp on the Chorus at the end. Alright. Verse 1! I think the guitar needs compression. So I'm gonna use the standard compressor. a little too buoyant, and I'm not listening to the vocal, I'm listening to this guitar going "Clonk, clonk, clonk, clonk!" So I'm gonna try and compress it a little bit. Let me mute the Rhodes, so we can hear what we're doing. It's better with a shorter attack, right? So you catch more of the "Chtink, tchigiding..." Of course, with a shorter attack, it's gonna do more, so it's gonna smother the level a little bit. So I compensated by adding some gain. Our raw sound was like this, in solo. Check it out. Hear? "Tink, tickin'..." It's great! But I think it's gonna be too much when everything is on, we're gonna loose the bottom notes. So, with a little bit of compression, it sounds like this. It's a little bit much. So I'm gonna back up the Ratio. Definitely steadier. It's not gonna be in the way of the vocal as much and it will be able to survive all that energy from the rest of the instruments, without being lost. This is starting to sound like a record. At least it's something that I feel compelled to listen to. It's a little dry! So let's make some space. First thing, is I have an RS-1 here. you take your plug-in, you drag it into the Sends area of the track. it makes a Send, it names it... Send it to it, you press Play! Feels like the engineers at UA have actually created this for me. I love it. but I know that 2 hours from now, it's gonna feel too dry with everything else on. So I'm planning ahead, I'm adding this RS-1 to create an Office-like texture. The Office, as in the same thing you see in the Creating Space with Reverb video. This is our track dry, listen to the end of the words. That's perfect. I like it so much I'm gonna put it on the guitar too. You gotta be careful with these short reverbs on very percussive instruments. If you put too much of them, you start hearing the little separate delays and it's the opposite effect. It no longer feels together, it feels separated. So I pushed it to see how it would look, and then it looks bad, so I pushed it back down. Let's see what it sounds like now. As a reminder, with no reverb at all. Now, this is also gonna need some tail. And so I feel like the 140 would be great. So a shorter... and less. That's nice. I'm actually gonna put that on the guitar too to bunch them together. Let's color the reverbs yellow, because that's how we roll. And then it'll be obvious to see later. Very nice. Ok, I like this! I think we should try and create a little more vibe on the vocal. Because I know it, and it's got a lot of vibe. low-pass because I know I don't want it to be in my face. I'm probably gonna look for something a little dirtier, like an EchoPlex vibe. It already has more personality. I'm looking for something to give it vibe. I think it's a little too detached. Check it out. It's a little too Phil Collins, and, you know, friends don't let friends do that. So I'm probably gonna make it 16th note, instead of the 8th note. I like what it does. It creates a little bit of a tail. no Inserts and no reverbs. Three plug-ins, and a couple of reverbs. That's cool. Let's listen to it with the guitar. Cool! Let's mute the drums for now, and focus on the bass. The bass comes in here on the pre-chorus. Alright. I have two sources. It sounds like a DI. It's nice and fat at the low end. I could use that. And then here's the amp, which is an old SB-12, which was miked with the Clarion. You can hear the drums bleed into it, which is kind of fun. The two of them together. I like the combination of the two, with emphasis on the amp. Check it out. This is a balance that I kind of like. And this is just with the mike on the amp. It has more density with the DI. So I'm gonna keep it in there, and listen to it in the track. There's this little pickup here. I feel the bass is a little bland. I don't know, it doesn't sing to me. And also, it's kind of in the way of the guitar. I think it's a little too real. Let's try and screw it up a little bit. So I like to use the Bass Amp Room for that on basses, because it's for bass, and it's a bass. This is from Softube, check it out. So this is flat. We're gonna work in solo, so you can really tell what's going on with the plug-in. This is not what we need. Even less what we need. That's interesting. Let me back the mike out a little bit. I like how it's breaking up. I like that texture, so let's reinject a little bit of the direct signal, this signal right here. to try and make it a complement of what I heard on the amp side. So this is the DI. And this is the amp. As a reminder, this is the raw signal. See how the raw signal only has the high end and doesn't have this extra layer at the bottom? So now, let's find a ratio between the direct -ish signal, and the amp simulation. Let's start in the middle to see how it feels. I kinda dig that. Let's see on the chorus. I backed up the treble a little bit, because it was making the amp simulation break up. But check it out! This is the chorus, with no plug-in. Definitely thicker. Check it out with the guitar. Ah! Let's listen to that little pickup. I think that's good raw material. Let's EQ it a little bit to remove that resonance. I like that it has a personality now. There's a resonance in the low-mids, right? Somewhere at 190 or 120, or something like that. Let's see. Yeah! 90 actually. I was originally right. We could even tame a little bit of the bottom now. Notice how it's no longer interfering with the guitar. Even though it's louder right now, it's obnoxiously louder. It's fun. This is without the plug-ins. And then, with the plug-ins. A little bit of compression to keep all that stuff into one plane. Here we go! Just drag and drop the compressor. Ok, there's too much compression, and I don't like the sound of the bass right here. Check it out. Ok. So the problem is with my amp. I probably went too far on the direct side and also not enough bass on it. So let's go back to the amp. Ok! Part of me wants to get upset about the little fizz on top of the bass amp, and part of me just doesn't care! So I'm gonna listen to the careless part, because I think it sounds fat. Check it out. I like it. It sounds fat, I'll take the fizz to be able to get that tone, and I don't wanna spend 2 hours on it. I'll come back to it if it really bothers me. If it bothers you, you can send an email to hatemail@puremix.net. the group on the drums, and listen to just the bass drum. We have two bass drum microphones. That's a D112, through a Presonus preamp. Actually, all drums were done through a Presonus Digimax, and a bunch of microphones. The two of them together, very nice. I hear a little bit of resonance, we're gonna fix that. depending on the bass drum. Why do I feel ok removing that amount of bottom from this microphone, which sounds perfectly fine? Well, because I have another microphone that has even more bottom, that I think I like better, as we just heard. So I'm gonna make this one a little leaner and have it be the beater, and have the other one be the boom. So right now, this is my beater -ish. Now let's find the joy in the other guy. Definitely joyous. And the two of them together. I feel like I neutered this a little too much. Let's go lower. is in the right spot, but it's too much on the sub, that "mmm" thing. Ok, now. With no correction. So, lots of energy in the low-mids, not a lot of bottom, very pointy. a plug-in on that, to now carve this joint sound. They have a Channel Strip, I kinda dig for that. and then a 3-band EQ with fixed Qs. So, the idea is to go fast to shape what you want. So let's do that. I like what it does. if you wanna look at all 3 corrections for this bass drum, it sounds like this. Notice that we have a boost here, at 300 or 400Hz. I've read a lot that you're not supposed to do that. So I feel like an outlaw. I'm on the edge. The idea is: you do whatever you feel like. flabby or something. I needed more punch, so it's at 300 on this song, in this key with this bass drum, so be it! There are no rules. So we started here. And then, on the whole mike, a 400Hz boost to allow it to go punchier, and more cardboardy. And a little high-pass, so it doesn't interfere with my thing up here. And then, the Channel Strip is cool, because it's got an expander. The expander lets me remove some of that resonance. Check it out. This is all compressed, without the expander. And this is with the expander. Cool! Now, let's listen with the bass. This is what it would have sounded like without corrections, with the bass. I may adjust further, but I like this as a basis. Let's open the overheads to make sure they're in phase with the bass drum, and not ruining the tone. There's 2 mono channels, I'm gonna make a bus, so I can treat them as one stereo thing. But see, I have control over separates, in case I want to. This is what they sound like. and as always, reality's overrated. I'm gonna use a Studer plug-in to soften those transients, and make it sound a little bit weirder. Maybe a little bit of gain into the tape, so I can hear more of a grain. It's a little smoother. Maybe I'll use the high end from the tape reproduction. I'm gonna start with the bass drum only and slowly bring the overheads up, so I can hear if it gets rid of the bottom of the bass drum or not, because I like the bottom of the bass drum. with no overheads, and slowly bringing the overheads in. The bass drum stays front and center, so the engineer did a good job at tracking this As far as panning goes, a lot of people like to pan the overheads full-on. I do too, but in this case, I have a pair of C60s, old AKGs/Norelcos, they also made shavers and microphones back in the day. And I like them wide, but in this particular case, I don't, because I want the toms to be wide, and I want the cymbals to be in the back. So if I pan it full wide here, where do cymbals go? Right? It's all the way there. It actually gives the impression that it's further away, and I like that better. I think I'm gonna keep it this way. The idea here of course is: how does it feel with the rest? I'm gonna have stereo guitars, they're gonna take the space on the sides, so might as well push everything back. Alright, so let's listen to those toms. That's a good recording. Those were a pair of 421s, again, through the Presonus preamp. I like it. Let's listen to the verse. I hear a lot of resonance, and a lot of bleed from the rest, obviously, they're tom mikes. So I think we could actually get an effect out of that, and use an expander. I could use this one, the built-in expander from Presonus. It's cool, right? So what I did is find the threshold at which the expander is gonna start pushing down on the resonance. Then, I chose with the Range, how much down the expander is gonna push the resonance. Then, I chose a short attack, so that even the slightest hit opens the expander. Now, it's gonna have a little bit of texture, not just a tom being hit by a drummer. On the chorus, it sounds like this. It helps with the resonance. I like this. I like this a lot. Ok, cool! Now I feel it's a little thin. And usually, I like to go quick and use this guy. And now, we have all this. both of them, and listen to both. So... The expansion settings on the other tom are obnoxious. So I'm gonna lower the threshold. I like the sound of these toms, but they're a little bit bland, a little bit real, a little bit recording-like. I want them to be more dreamy. So I'm gonna use the Focusing Equalizer. And use both the high-pass, while it's there, it's gonna focus it, hence the name, and also the Saturation, I like the Saturation circuit. Check it out. It's starting to sound more menacing, I like that! Now I'm gonna try and use the EQ with the tone of this plug-in, to give it even more vibe. Let's listen to the Passive equalizer. That's fun. Listen to it in Active mode. It's a little cleaner. Check it out. This is what the toms sounded like with just the Expander and the Pultec. Listen to the transients, the attack, the stick attacks on the toms, especially when he goes "Tackata!" Check it out. Without. Much softer, almost tape-like. I like it a lot. Let's see if I like anything on the high end. So we started with a tom that sounded like this, flat. Not bad. And now, it sounds like this. Let's copy the Focusing Equalizer to the other tom, and listen to the whole set. that's all finding well, but I'm hearing "Clunk!... Clunk!". With the rest of the set, the low hits on the toms are a little low. So I'd like to bring them up to par. To do so, I'm gonna use the FET Compressor. I don't wanna compress this further. I just want to add girth. To do so, I'm gonna crush it, and then I'm gonna tuck that crushed signal back under. I could do that by duplicating the track, or I could do it all in one plug-in, like this one, for example. So let's look for a very compressed sound that's gonna be very thick, even thicker than what we have, that I can tuck back under the already thick sounds. I'm gonna make it a fast attack, so I can catch all the transients. I'm going to try and adjust the release, so it doesn't pump so much. I'm also gonna high-pass the key, just the key, so that the bottom resonance doesn't freak the compressor out so much. And then, I'm gonna use the Look-ahead to make sure it has to figure out what's going on, because it's pretty complicated signal material. Ratio 50/50, check it out. This is the one tom with none of this compression. And this is with the compression. What to listen for? Listen to all the lower thing. The "Boom!" part is untouched, but the... the whole bottom part is now raised, and thicker. Without. Definitely denser. Copy it to the other tom. Not as crucial, but it's probably nice to have them both the same. As a reminder, we started with our toms here. I'm gonna lower the level, so that it's more or less the same vibe level-wise. It's starting to sound like a record! Let's listen to the second verse. It tends to work on toms. I guess it's not working on toms today. Let's see. like for example the TSAR-1. It also often works on toms. because that's really what it is. That's closer to what I'm looking for. Ouh! I like that fast modulation, that's cool! Let's listen to different diffusions... Low. It reminds me of a rehearsal room I had a really bad time in once. No. Check it out! Listen to the tail of the verb, and the density of the verb. It's a lot more excited, and a lot more buoyant. I don't like Low, you can hear the little delays... Yuck! Medium's good. Let's put some on the overheads too. Let's make the reverb yellow, and put it... last, so now I know that my yellow track is the end of my drum set, and start of my bass. It's visually pleasing, it's yellow, it's good, easy to look at. So, I like this, this is fun! He does hit the snare here. What does the snare sound like? Ok, no snares on. So I'll just copy the Expander. And maybe put the Focusing Equalizer on it. All the elements work great together. I feel that it's taking over the whole song, it's so loud. And also, it lacks a little bit of togetherness. Oh! I forgot this guy! Let's listen to this! I have a Comp Kit. We already ran our whole microphone, our 122 I think, through a compressor on the way in. The microphone was pretty close to the kit, so it still picked up quite a bit of low end, so I'm gonna high-pass that. Because I don't want the phase to ruin my bottom, which is pretty awesome on the bass drum. And also, since we're crushing stuff, might as well really crush stuff. This is what we got. So what I'm gonna do now, I'm gonna start with a really low fader, on the crushed, and bring it up, and see how much fun it is! It's particularly fun on the high tom, it gives it that almost metallic vibe to it. I like it. I don't know if the singer is gonna like it, but I like it. Add Bus for Selected Tracks. The bus is right here, I'm gonna call it All Drums, and to attempt to give it some extra glue together, I'm gonna use the standard "Glue Edition" Fairchild. I'm gonna lower the gain. I kinda dig how smothered it is. It just has a kind of like a rolling thunder vibe now, and not as much of a detail, and transients in, and being precise, it's less precise. In this case, I like it! So, I'll probably have to adjust the balance of the different microphones, while I have the rest of the song. Actually, we should listen to the rest of the arrangement on the chorus. I also overdubbed a couple of those guitars here, trying to make the chorus grow. I feel this is not gonna work. I feel that if I leave the arrangement this way, I'm gonna fight it until the end of the mix. We've all had a mix where we know it's not gonna work, because something's missing and we pretend it's not missing, and we keep going. In this case, I'm not gonna do that. Since I'm the producer of the track, I have the power to do whatever I want. I know that on the rest of the tracks of the record, there's a lot of piano work. There is no piano work on this because that's not what the setup was for this recording. just big chords on the chorus, and maybe a little part to fill that hole right here. it could use a little something fun. So what I propose we do right now is adjourn, because it's late, get some rest, come up fresh in the morning, set up a couple of microphones on the piano, record it, and lay it into the track. Today, we're gonna track some piano, to add to the mix we were working on yesterday. It's my old Steinway, I love it dearly. The way I'm gonna do it is I'm gonna use a laptop, and a couple of my favorite microphones for piano, which are a pair of Schoeps. That's how you say it, Schoeps. put the Mbox here, so I can have access to it. I need some headphones, so I can hear myself. I still have the chord chart from the piano player, from the other session. So, let's open this and get going. I brought the session in from yesterday. I also run Studio One on this laptop, I have a little UAD card here, so I can open the exact same session, and the plug-ins follow. I also brought my iLok with me, so that the other iLok-protected plug-ins open. The session's up, I'm gonna grab my microphones, put them on the piano and start playing. These are a pair of Schoeps CMT 44s, they're condensers, not tube condensers, just regular condensers. They're really quite wonderful on piano. The big barrels you see at the end of the cables there are pads, because these microphones are so sensitive that they would blow up any preamp without these pads. As far as placement goes, I kept it simple, I just put one microphone over the low end, and one microphone over the high mid. I mean, that's the standard edition for a pop miking. The idea behind doing the piano track is to fill the low mids, so I know I'm gonna get that from this one microphone. Then, if I need stereo spread, I'm able to open it with the other one. Maybe I'll play both in mono on the left, maybe I'll double it, I don't know yet, we'll see where the music takes us. I'm going to create a stereo track in Studio One, and start playing right away. I feel that the most important part is to fill out the chorus. There may be some needs then, since we have a big chorus, to fill out some of the verse parts, but for now, I think I want the chorus. Alright! So, to fill out the bottom, considering that the guitars are gonna be in the sides like this, I could make one big fat block chords thing like this. Ok, cool! Let's try that. And then, we'll see if more inspiration comes. C'est parti! I think I'm gonna double that part there, in the verse. "In the wake of our lives", this part. I think that would be cool. So let's do that. What's the chord there? Yes! So what I'm gonna do is I'm gonna double that, then I'm gonna play a couple of chords after, which are C, A, F, C, and then, the pre-chorus. Let's listen to the pre-chorus, so I can play the whole part at once. double the "Pom-to-Pom-Pam", like this. And then for the pre-chorus, I'm gonna double the bass. And then try and enhance the crescendo that's supposed to happen there, and that I'm not really feeling, so I have a chance to make it feel more crescendo. I'm gonna do that. Potentially with a better pocket! I like the vibe like this, I'm not gonna change it. Cool! That felt pretty good, I think it does what it's supposed to do. If there's some mistakes, we can fix them later. Bear in mind, I'm a saxophone player. Now, if we listen to the chorus, I still feel that I don't have what's necessary in the middle. So "I Fall apart...", and then, nothing happens here. vertical, I don't have an arch. I think we need a more motion-driven part. And that's the whole point, the way the chords sequence, but I don't think they're all necessary for another part we could fly over. And then, the C is important. So, maybe we could do some motion line. Oh yeah! Ok! That sounds interesting. I'm gonna duplicate this track, so all the settings are the same... Put in on Record. This just gave me another idea. I think we need a part in the high end. And, let's see what the chords are like. It's got a little Roxy Music vibe. A minor -ish, so it kind of reharms it nicely. I dig it, I dig it. Let's do that on the second chorus. Marry the two parts, with the octave of the arpeggio. Let's try that. That's cool! Let's do the last choruses, and then I think that's gonna be it for piano. I love it! So here's what we have, and I think it's gonna be just right. We have one track of chords, big blocky chords at the bottom, to fill the bottom problem. We have... one track of low arpeggios, that are gonna give us the motion in the chorus, and also fill that hole in the middle. Then we have that cute little Roxy Music-ish part on top, which I'm probably gonna crush and put in a Plate to give it some air. And it actually evolves across the song, it has this one single part on the first chorus, and then it marries with the arpeggio on the second chorus. I think that's pretty cool, I'd like to go listen to that on actual speakers, because those headphones... are just... not necessarily the best. Meanwhile, back at the ranch, we're gonna listen to what we just did. Now, you've been hearing what I did, I, on the other hand, was playing, so my focus was not necessarily on the ensemble / arrangement vibe, just I was coming up with ideas. Also, I had headphones on, which makes everything sound better. So I'm gonna play it on the speakers. Check it out. Probably in solo with drums, bass, and that center guitar, to make sure everything is tight. Drums, bass, pocket guitar, and chords. Exactly what I wanted! Let's look at the next part. I'm rushing a little bit on that last note. tell Studio One to detect transients, and it figures out where everything is. And just take this transient, and then using the Transient tool, you come here and say: Ok, I want this to be a little later. And now it's perfect. That's pretty awesome, because you don't have to cut up everything in little slices, it's actually looking at transients, and then you can move them however you want. If you have a lot of free time on your hand, you can actually reorganize an entire performance, and take the music out of it. But you can also use it very sparingly to just fix a note or two. So I don't want to have that, everything else grooves pretty nicely. So I'm just gonna quantize it. Yes, I'm gonna quantize it. you make sure that the settings are what you want, in this case, 8th note should be fine, and then you hit Q! It detects the transients, moves everything in place. Let's check it out. There's a mistake in the chorus, I don't have that much time, so I'm gonna get rid of all this, and use the first one, because the first one was pretty rocking. Probably not me, someone else... There you go. I'm gonna copy that here. So... that's the downbeat right here. Those two beats that are really lazy there are starting to show, so I'm just gonna fix them manually, and then we'll have a song. That is some lazy playing. Obviously, in a normal situation, I would play this again, and play it better, so I don't have to do this stuff. But most of the time, you're gonna get tracks where you can't play them again, because you didn't play them in the first place. These are good tricks to fix it. I like the way the software does it. The other thing is: no, it's not completely tight. But I don't care about it being completely tight, because it's not gonna be this loud. It's gonna be tucked into the mix, and it's gonna create some fluff at the bottom of the pocket, and I think it'll feel good. Let's make sure the last chorus is ok. This is all very lazy. I'm gonna move in a little bit, just a little bit. Everybody else is a little more trigger happy. Ok, I may move it a little bit later, but right now, it feels ok. It's more in sync with the band, not more laid back than the band, which... that wouldn't go. Let's see the ending. Cool! Ok. So, I overshot a little bit on the zen part of the playing. Let's... maybe, process it a little bit. I think it needs a little bit of roundness. So I'm gonna put a Fairchild on it. Piano Chords, here you go. Let's listen to it in solo. It's starting to really sound poppy, and overcompressed, and just what I needed. Then, we're probably gonna need some reverb. I wanna use a 140, because I tend to like that. And see what it sounds like. That's fun! Let's listen to this piano with the Fairchild, and the reverb, in the context of the rest of the track, say, on the first chorus. As a reminder, without the piano, it sounded like this. I'm gonna solo the piano, and I'm gonna solo the two guitars. Maybe I should focus on the guitars first. That's all the way to the left, let's put it in the middle for the sake of demonstration. I'm removing the group. Let's listen to all the microphones, just like the pocket guitar, I have 3 mics. I'm probably not gonna like that, it makes my eyes squint. In this case, the Atlantis is better than the SF-1, so let's take the SF-1 down a little bit, and hear the combination. Also, it feels a little peaky, a little... just in your face, so consequently, it probably is a good idea to add some compression. I want to shorten the attack, since I'm looking to tame those peaks. And it gives it a certain tone, which I kind of dig. I definitely need to EQ this. Let's use the standard EQ. Great! Then, I feel like we can do something a little more ethereal with it. Let's try a delay... Let's try that. That's fun. So, less feedback, it's mono, because we're gonna have two in mono. I'm gonna high-pass the delay. Cool. Let's copy those settings to the other guitar. As a reminder, we started here. We're definitely making progress. Let's listen to it with the piano. The piano should not be too loud, but let's check it out. That works. I have my sides, and I have the bottom being handled. Let's check with the bass and the other guitar, to make sure everybody is happy together. Here's the other guitar, and here's the bass. Cool! Now I have my vocal, my pick guitar, my bass, and I have the drums which fill it nicely, I have the two guitars on the side. The centered piano is cool... I wanted to make it stereo before, I think it fills it enough the way it is. is an overall tone, and dynamic control of the whole mix. To do that, I'm gonna put some plug-ins on my 2-Mix, on the Master Fader. When I work in the box, in Studio One for example, I take advantage of the presets. I made myself a 2-Mix preset, which I called Fab Vintage 2B. In it, I have a Precision Limiter from UAD. It is a 2:1 compressor. I have to adjust the threshold to whatever the level of my entire track is. But if I'm good at gain staging, it should be about the same all the time, right? And then, I have a Pultec. It gives me a little bit at 60, a little bit at 12k, a little bit at 5k, and a Limiter just to make sure that I don't blow up the recorder, but... the attack is wide open. I'm not taming the transients. I'm keeping everything as open as possible. I'm just creating a bit of a togetherness. Plus, the Oxford Limiter has a tone of its own, and I like the way it sounds, even flat. This is with the 2-Bus compression. On the verse, it does very little. It's just designed to tame the chorus a little bit. Same transition, without the 2-Bus compression. Again, with the 2-Bus compression. Listen to the difference in presence on the toms, and how a little bit unruly it is, without the compression. And it's a little more tame, a little more gentle, a little more sweet with the compression. Just 1dB worth of compression, which is not exactly the end of the world. So again, for reference... Without. Great! This is what it sounds like with the Pultec. A little more high-end, a little more "Boom" on the bass drum. It's more excited with, obviously. I have... 1 step up at 5k, 1.73.7 step up at 60Hz, and 3 steps up at 12k, with full bandwidth. And that's it! But also, there's the tone of the transformers they emulated, which gives it a little bit of density, which I like. And then, we have the Limiter. So this is without the limiter. It's pretty wild, because right now, the UI of the Oxford Limiter tells you nothing's going on, but you can hear something's going on. I can hear something's going on. I can hear the transients being kind of shaved, a little bit smoothed out by the limiter, even though nothing's going on on the meter. Now, that's a lesson to not listen with you eyes, but listen with your ears. It's always better to listen to what your speakers tell you, not what the UI tells you. Of course, it's also a good reason to get good speakers. Ok, so let's get back to our piano. Let's listen to the arpeggio. some... like, a little more poppy vibe. And how about filtering it? Moog! Love Moog! Here you go. in solo, so you can hear what I'm doing. I kinda dig this. It's a little weird sounding. There's no real rule as to what to do. I'm trying to find a weird sound that's gonna give it character, and gonna make this track recognizable. basically, what I call a delay designer, you can make it do just about anything. As opposed to having just a plain piano that would sound like this. I like it better with the vibe. I'm gonna put a little bit of the Piano Verb on it. And I feel it's a little too peaky, so I'm gonna definitely squish it. How about the built-in compressor? I'm gonna squish it before the delay, so that the delays are not compressed too, so they don't rise up, because I want that tail feel. So I'm gonna squish the signal, and then go to the delay. One more time, a little brighter. This is really starting to have a vibe. I like it! Let's listen to the other piano part. Ok. Let's make it really thick, and squished. This tends to work well on pianos, because of the attack times. That's fun, right? So because the time constant is longer, it's always compressing. And then, I'm gonna just wash it. It's not doing what I want. Let's give it its own reverb in line. 250... Here you go. Hello! Boom! Yeah! That's fun! Alright, let's listen to it. That does the job! Let's listen to the second chorus, where I made that thing, where it doubles the arpeggio, halfway through the chorus. Alright, so my balance is falling apart, because I'm focusing on the instruments, and the music, and I'm not listening to the mix anymore. That's why it's really a good idea to mix what you produce, or mix what you track, because those are two different kinds of heads. I'm sure you're in touch with that. My drums are too loud, the side guitars are too soft, the vocal is getting burried, it's horrible. It's a catastrophy, let's fix all this. The first thing I'd like to do is probably take the drums down. It could stand a little more vocal, even. The bass drum feels dry. I can't help, but everytime we get into the second verse, I'm like "Grrr", something's off. create a little bit of space, just on the bass drum. Usually, I like the 224 from UAD for drums. It just has that sound, because we've been hearing it on drums for many, many years. Fantastic! Now, it's too much. Let's take it down. It's way too long, but it's the right color. It's a little dry, a little demo-y without. A smidgeon less, and I'll be content. Listen to the relationship and the family traits between the toms, and the rest of the track, and the bass drum. well not so ugly, but it's a distant cousin. With the reverb, it's more like the hang, the Sunday family dinner kind of vibe. Check it out. Without, again. It pushes it back a little bit in the stereo field. It doesn't make it quieter, it's still the same level. It's just more together, more glued with the rest of the track. It's subtle, but it makes me happy. What's this pink thing here? It's a Rhodes. Let's listen to it. I tend to have an eager reaction to Rhodes, especially this Rhodes, since this is my Rhodes. I like to put a 201 on it. Many nights we spent under the sheets listening to records that have that Rhodes sound on it. And so... I can't make myself get away from it. The function of the Rhodes is to bring some love at the beginning, when it's just singer and guitar. Check it out. I think it'd be better if it were a little bit stereo, so you have everything in the center, and then the Rhodes comes in in stereo and distracts you from all that middleness. So... Add Channel... and call it "Rhodes FX". because I've never owned one, and I've never seen one in real life, so it's difficult to make yourself use new stuff. less short, so it's gonna go "tac-tac-tac-tac", like the old British pop records from the late 80s. As an effect, it's not working, it's a little too tame. Does it make a difference on this one? Coils? That's cool. I like that. Let's listen to it in the context. I think it needs a little compression, because some of those hits are little too much. Let's grab something really naughty compression-wise, like this stuff. Hear that little... thing? I love it! Without. Yeah! The compressor's gonna help even out. I love that weird thing that the Cooper Time Cube's doing. It's so weird. Great. Check it out in the track. That noise is probably from the bass, and it's definitely cramping my style. It's the amp, fancy that. So let's get rid of at least the sound of the amp, while he's not playing, we don't need to suffer through that. These kinds of noises could either give a lot of vibe and make it sound really real, or distract from the emotion of the moment. I like how the intro is evolving into the song. I think all this is starting to sound like a record, it's quite lovely. Let's listen to what we have for background vocals. Here's Jay, who's our fantastic singer. Let's listen to him in solo, on the chorus. That's cool. We started here. Cool! I like this. This was all tracked on the Atlantis, with a V-66 preamp, I think. The point of those parts is to beef up that one note. The Lead sings "Fall apart" by himself, but that was a little lonely, a little naked, so we thought: Hey! Why don't we double and triple that? And also, give a little bit of harmony. The panning is a standard panning, we're just getting as much width as possible out of those parts. So, by themselves, they sound like this. And then, this is with the lead vocal. It works! Let's put a little bit of the reverb on the backgrounds. who's a great singer, doing backgrounds on the chorus right here. That sounds great. It's a little aggressive. This was tracked really, really quickly at the end of the session. There's a little bit of a mask at the bottom, just like on Jay's track, because it's also tracked on the same mike, at the same time basically. It's really unpleasant to listen to sonically, but I love the part, so I've got to fix it. Sometimes, the tape emulation plug-ins get rid a little bit of that tinge. Let's remove the Noise, it's noisy enough as it is. Cool! Maybe a lower tape speed, and... older kind of tape. the space and the tail from the Lead, which I already had copied on Jay's backgrounds. With the support of Jay's backgrounds, it sounds like this. I like this arrangement. It was Jay's idea to have him sing a held note, that kind of outlines the chord, but doesn't sing the root. He sings a B on the G chord, and then he goes up to a C on the F chord, and he ignores the passing chords, just like I did with the piano, and it works well together. I turn the bass on, and then, say, the arpeggio. I like that kind of vibe of one note steady, and one note moving, it's pretty. So those background vocals work and give great support to the full set of parts that he's singing. Let's listen to everything, the whole mix... into the chorus. That kind of rocks! Let's listen to the song since the beginning, to see if the choreography of how things come in feels good, or not. The intro is all the way out here. Ok. I think that's pretty awesome, the way it grows, when the chorus hits so hard, I like all that. On the chorus, I feel that maybe, just maybe, the vocals are a little bit still rough. So I was thinking that maybe it'd be a good idea to add a little bit of a super-viby delay, like for example EchoPlex. Here we go. Maybe just on the backgrounds, to see how that feels. Yeah! That's what I'm interested in, that tail there. That's awesome. Let's put that on her too. Let's see how it sounds in the context of everything. Listen to it without the echo. You notice how it just ends really abruptly? With the echo. a little bit in front of the rest of the track, the delay helps put them further back in the track. It feels like a block of sound, it's more overwhelming, I like that better. There's one more thing I'd like to do. When I listened to the beginning of the song, I heard a little something pitch-wise on the vocal. It doesn't bother me, but I know it's gonna bother Jay. but I don't think I nailed the vocal on the first two notes, I want to redo the vocal. I don't want him to redo the vocal, because I think it feels good, and the emotion's good. So I'm gonna discreetly fix it. Don't tell him. where it actually brings the whole track straight into Melodyne, and then you can just play it. And it'll let you edit right in Melodyne. I'm gonna zoom into the culprit right here. and it's in sync between the two. You can also press Play here, and Studio One knows what you want, which is really cool for me. So here... "How long..." So we're gonna work in a Melodyne mode, you should look at the Melodyne video. I'm just gonna take this one note here. Like this. Check it out. I think that works good! The key here is to not touch it anywhere else, to just touch the two notes that you know are gonna be a problem. If you touch more, you're screwed. You're gonna have to edit everything, tune everything, and remove all music from the music. So let's listen to the whole thing now. I can hide the Melodyne thing. that you can see in Studio One that now, there is some Melodyne here, it gives you what the pitches are, which is kind of cool. So you know what tracks have been Melodyned or not. I like the integration, it's pretty smart. I think it's time to listen to everything. to give them that crazy processed vibe. We gave an amp vibe to the bass to give it that "Oomph!" Definitely, we did some work on the vocal to keep it steady in the middle, otherwise, it jars us, right? In the rough, it jarred us when it came in on the pre-chorus. Then, we added the piano. I thought the piano was gonna be my solution for the stereo thing, but in reality, the guitars were good for that, and the piano was great for anchoring the whole song in the middle on the chorus. Then, the arpeggio, which gave us a little bit of motion. That was nice, plus that was fun, I got to play. All those little touches... It doesn't sound that different from the raw recording, it just sounds enhanced and sweetened, and dreamified, if you will. So I'm gonna play it now, and try and pay attention to all those details. First, let's listen to the original raw mix. Studio One lets you have several sessions opened at the same time, so I just switched to the original session, with no plug-ins, nothing, where we started. Here we go. It's nice to know that was just the microphones straight from the preamps. Let's switch back to our mix. sorry, new to PureMix, what am I missing ? downloaded the stems but they are partial tracks i.e. they got up to bar 37 - 38 , not the full song. Great material. 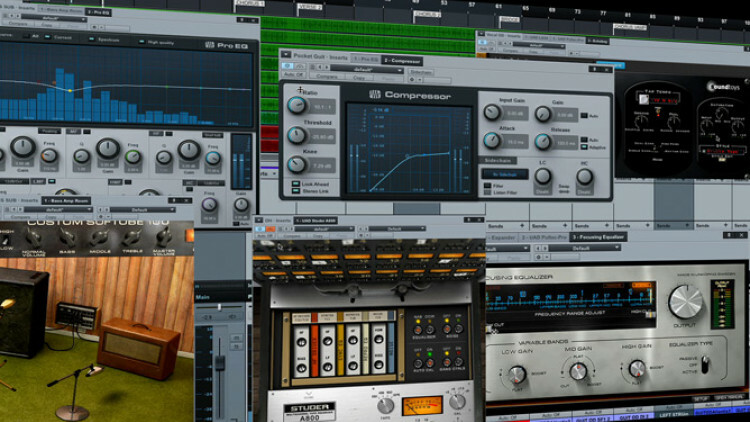 How many Universal Audio Plugins do you have ? Where did you get that? Thanks Fab. @DuckieTheAnk: You guessed right. We collectively decided, after a incubating period, to tweak the production a bit to make it closer to the other songs on the record in color. It always happens. Songs are never finished until someone screams at someone that we missed the deadline and comes pry the files from our clenched fists. @rmoreno: No, just this one as this is the only song I produced on that CD. Hi, Fab good tutorial. 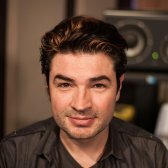 Do you mixing all Jay Stolar CD using Studio One? fantastic video Fab!!!! not only did I learn a lot but I also became a fan of Jay's music in the process…..I just went to iTunes and bought his album…….same thing that happened to me after watching your Will Knox videos! Very good video tutorial, I'm learning a lot, thanks Jay! This video series is INSANE! Thks so much guys. Great video. Learning a lot. I have not seen you do much automation n these full mixes. Is that common for you? Also, are you pretty happy with in the box mixes like this without really itching to try out some hardware? Sounds great o me as is so why mess with it....but I am not sitting a Neve surrounded by transformers and tubes glaring at me. Thank for all you do. Please keep it up! A bientot. Great video, lots to gleen from, much appreciated. THX ; r ) Always nice to see other DAWs in action as well. HEy Fab, quick question? Is their anything that you can't do, I wish I had all your skills man...Your even a great cook! God Bless you man! Truly amazing. Worth every penny. It's long fun and I learned tons of stuff. Thanks Fab! Very nice. Love the piano part.